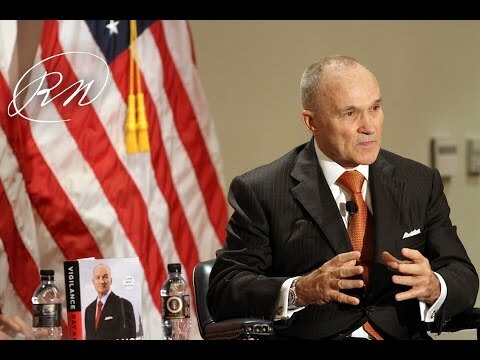 Former New York City Police Commissioner Ray Kelly discussed his new gripping memoir about his lifelong fight against crime and the work of his groundbreaking anti-terrorist teams following the 9/11 attacks. After serving as a Marine in Vietnam, Ray Kelly soared through the NYPD ranks in decades marked by riots, drugs, and a staggering murder rate. With an unwavering belief in justice, integrity, courage, and loyalty, Kelly developed a reputation as a fixer who could clean up troubled precincts. Those values catapulted him into his first stint as commissioner, where Kelly oversaw the police response to the 1993 World Trade Center Bombing. Following leadership positions at Interpol, the Treasury Department, and U.S. Customs, Kelly was again appointed police commissioner in the wake of the 9/11 attacks. Realizing that New York’s security meant national security, Kelly transformed the NYPD into a counter-terrorism force. The program was moderated by Assistant Sheriff Don Barnes of the Orange County Sheriff’s Department.